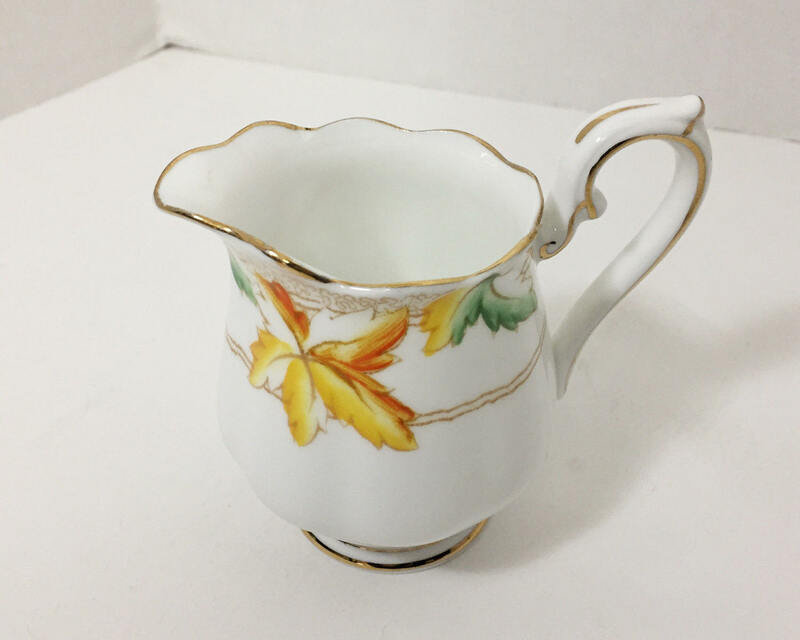 Very nice little mini or small creamer from Royal Albert, back when they were Royal Albert Crown China. 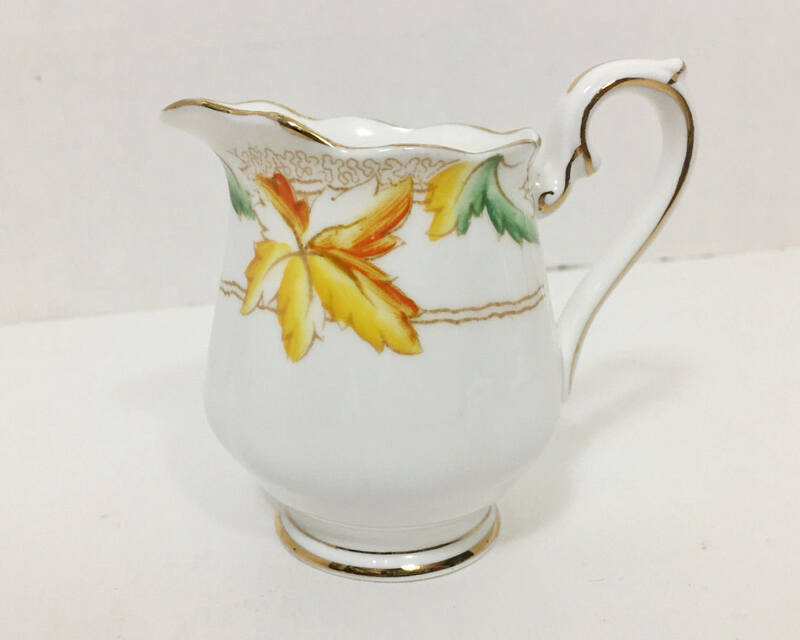 The pattern is called "Maple Leaf" and it was no doubt a nod to the Canadians and the Royal Visit of Canada in 1927. Personally it looks to me like the artist who designed the motif had never actually seen a maple leaf. 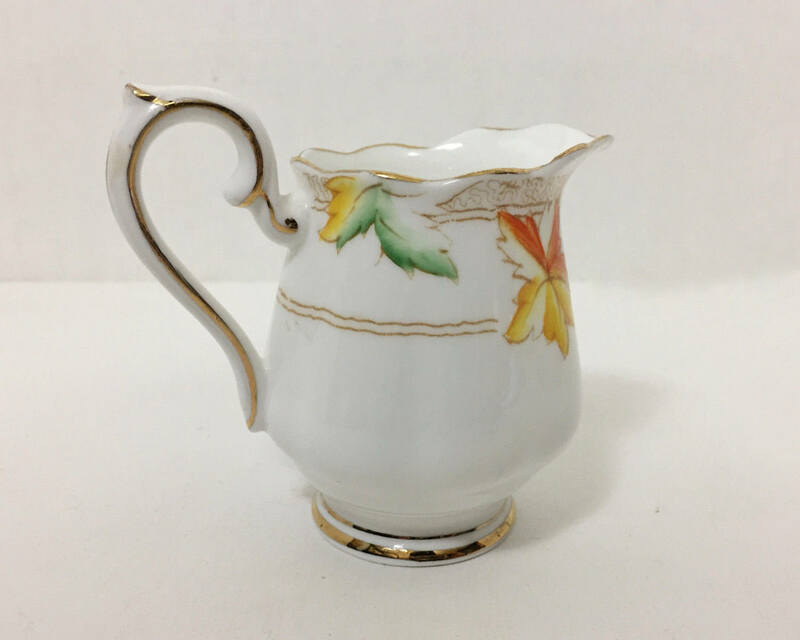 Royal Albert is renowned for its fine English bone china, and this is a lovely early 20th Century example, made in the late twenties. They continued with both this shape and this motif for sometime, and even redesigned at as Silver Maple later on. 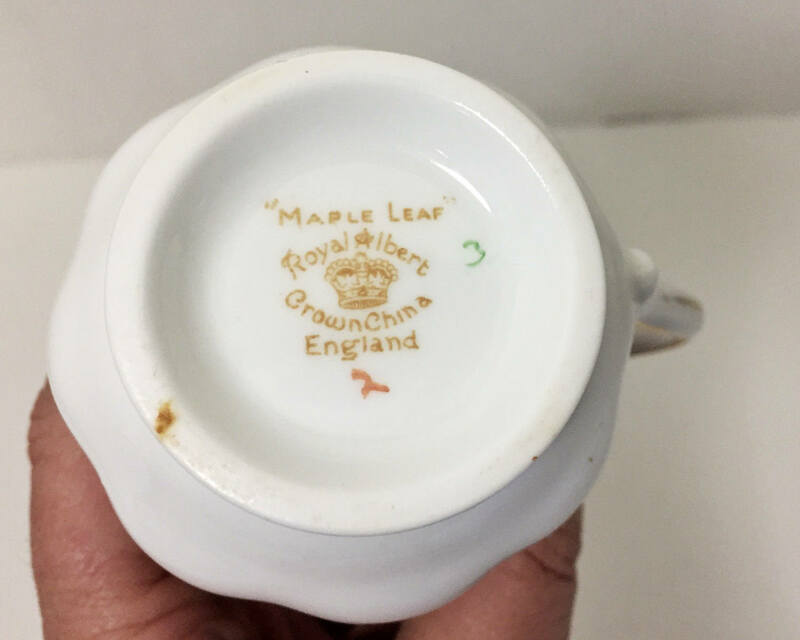 This piece is clearly dated to the twenties by its distinctive backstamp that includes the words "Crown China" which they dropped soon after. CONDITION: Good, but there is a very small hairline crack on the rim by the spot. There is also what looks to be a chip on the inside rim, but on inspection you can see that it was glazed over as well as the gold painted over it so it was a flaw at the factory rather than damage later on. 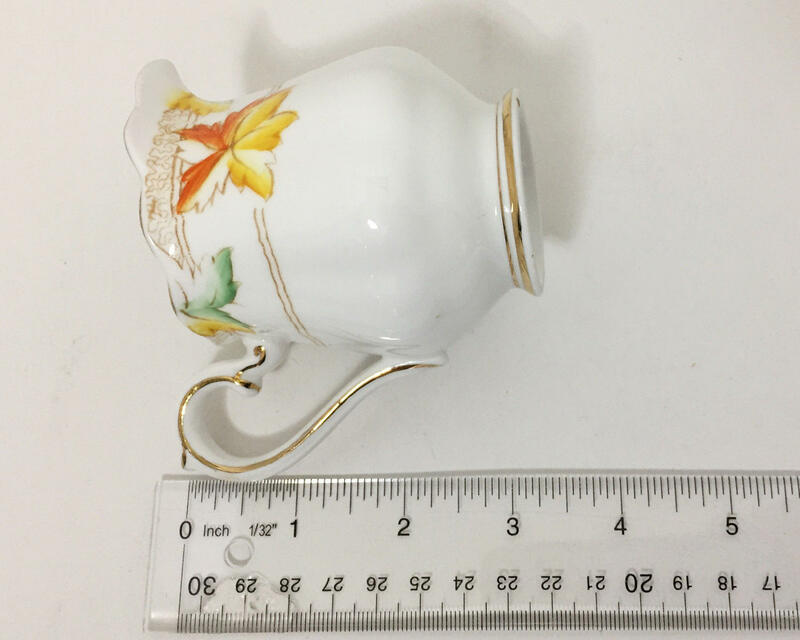 SIZE: This is a small creamer and measures 3 1/4 inches from the base to the handle and 4 inches from the spout to the handle.